Morning Girl has found the faith that gave her the assurance of living eternally in heaven and she wants to share this to all of you. I grew up attending the biggest religious sect of my country and for quite a long time was following without questions all its beliefs and practices.But as I grew older I started to notice the flaws my traditional faith. I saw how vain and how senseless the many rituals and practices of this religious sect. I could not see the spiritual essence of praying in front of graven images and even kissing, and offering flowers to them. I knew they were just made by men and were just the same as my dolls or any graven image of any thing like dog, or cat or whatever animal. So why give them this kind of trust and adoration? I also saw the absurdity of memorizing prayers and asked myself why would I not speak my very own praises and adoration to God. That would make my prayers much more acceptable to Him for they are my real, personal and sincere thoughts. I also saw how senseless the ritual of praying with beads on hand. I realized they are nothing but repetitions of memorized prayers. I could not understand why I should pray to Mary and to saints when there is only one God and I could directly address my praises and petitions to Him. 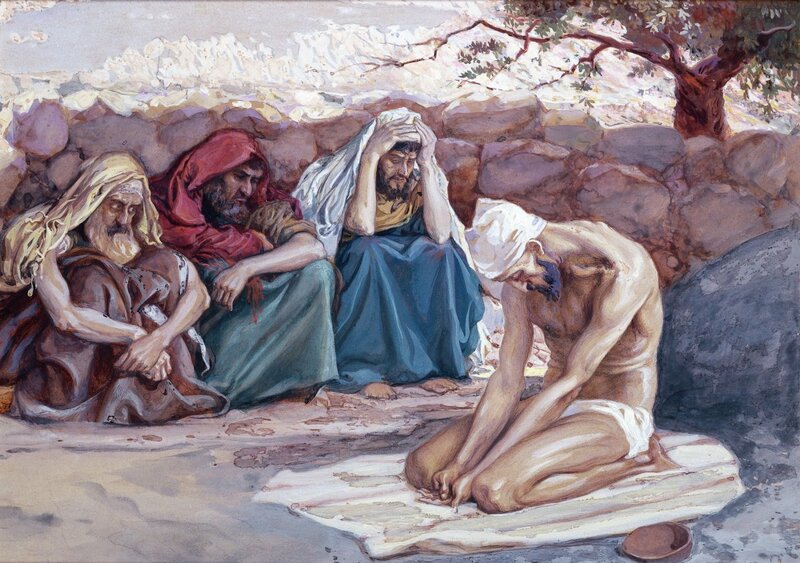 I wondered why I could not just directly pray and confess our sins to God? I was questioning the relevance of confessing to a priest and receiving communion to forgiveness of sins when I knew for a fact that the priest doing that was not sinless at all. More importantly, I was so bothered by the fact that my old religion was unable to give me an assurance of eternal life. I started looking for the truth. The searching process was long; it took a lot of church hopping and many days of soul-searching. I started listening to different Christian radio and TV programs from where I learned I should read the Bible, the Holy Word of God. My traditional religion never told this to me. I did not even know about the Bible and its importance in my life. Perhaps it was because, I was used to just following the rituals involved in the church. In my continuous quest for the truth I bought a Bible and started reading it. One day, I called the 700 Club and a counselor attended to me. He told me about the saving grace of Jesus and how my soul could be saved. 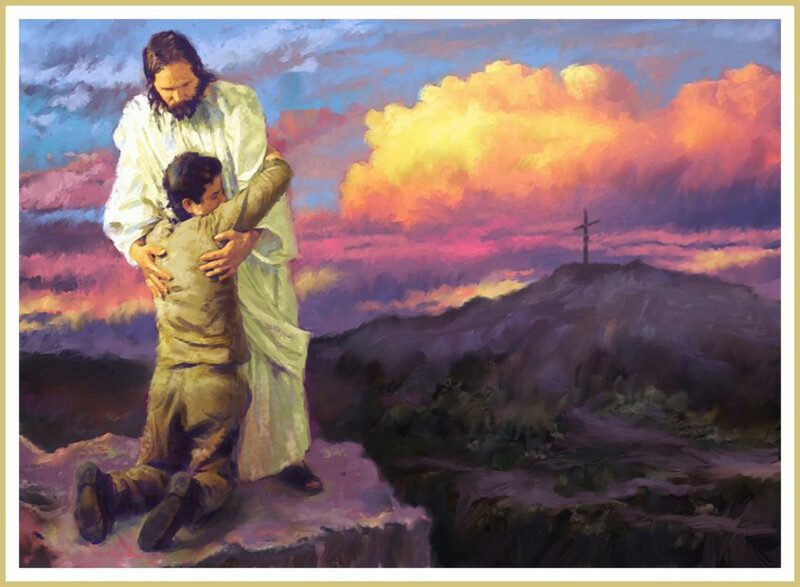 He encouraged me to accept the free offer of salvation which I did. My acceptance was quite abrupt though and I knew it was not complete because deep within I was longing and looking for more explanation. A week after, I received a tract about salvation of soul along with various Christian literature from the 700 Club and from there I was able to gain more understanding of why Jesus had to die at the cross, and why I was bound for hell and why I need the saving grace of Jesus to escape hell. I was given several verses in the Bible that showed me I could never be righteous no matter how good I tried to be. Even if I was all my life living a straight life, that could not justify and could not merit heaven for me (Romans 3:10, Romans 3:23) Right there and then, inside my room, I sincerely repented and requested God's forgiveness with tearful eyes. That made me feel so light because I knew I was forgiven as promised in His Word (1 John 1:9). I believed with all my heart that He offered His life for my sins and that His blood shed for me at Calvary. 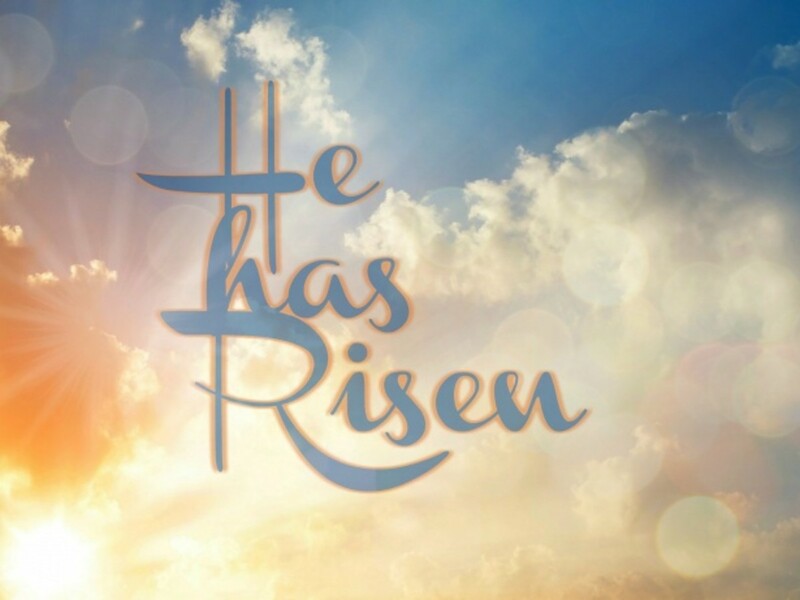 I believed that Jesus did not remain in the grave but was raised by God the Father on the third day and just as He was able to conquer death so I also will have a taste of this kind of resurrection I believed that as sinful as I am, I could never save myself no matter what good deeds I could offer. I believed I needed a Savior inthe person of Jesus, who bled and died for my sins at Calvary but was raised on the third day as a proof that he gained victory over death and sin. I trusted that what Jesus has done for me at the cross of Calvary is enough to pay for my sins. I trusted His saving grace and accepted Jesus as my Lord and Savior. I knew that on that glorious day, I was freed from the punishment of my sins (Romans 6:23). I understood with all my heart that the death of Jesus Christ on the cross of Calvary is enough. He shed his blood at the cross. He paid the highest price so that I could be redeemed. Yes it was for me he died. He paid all my sins by His precious blood. On that very same day I got the assurance that I have been saved and would go to heaven at anytime my earthly life ends (Romans 10:9-11). A personal relationship between me and Jesus was established. I have attained genuine Christianity, a hundred percent assurance of heaven. This is the only faith that showed me I could be sure of going to heaven even while still alive. My traditional religion never gave me this assurance. I was all the while lost and was thinking heaven could be attained by being good. But thank God, His very word showed me that only God is good, I can never be as good to merit heaven so I needed the righteousness of my Savior to be imputed upon me. It became so clear to me that salvation is by grace through faith and not by good works, I am so thankful to God for I was able to find the whole truth that set me free from his Holy world. The Bible is now the only supreme authority of my faith and all my practices. I can never be cheated again by false doctrines. I have attained the salvation of my soul and this salvation is secured and can never get lost neither could it be taken out from me by any one by any means(John 10:28-29) The promise of heaven that I received on the day I repented of my sins and accepted Jesus as my Lord and Savior is a never changing promise because I have faithful God . While my traditional religion and other religions subscribe to salvation by good works, my true Christian faith is not. It is by faith through the grace of God. If salvation is by good works it would be very hard for me to achieve heaven because I am human and could never be good enough to deserve the presence of my holy and perfect God. So thank God for sending His Son Jesus to save me from eternal wrath. I thank God so much for I am one hundred percent sure that I am going to heaven when my God calls me home. I have been freed from the uncertainty of my destination and from the many unbiblical and false teachings and practices of my old religion. I learned the futility of infant baptism and that there is no salvation in baptismal regeneration through performance of sacraments. Ephesians 2:8-9, Ephesians 2:10 and 2 Corinthians 5:17 taught me the whole truth. The Mary of the Bible and the Mary of a traditional religion are not the same. The Mary of the Bible is not and does not claim equality with God. Mary is not God and neither is she not the Queen of Heaven. She is not also a perpetual virgin. Mary has no saving power, no power to hear and answer our prayers either. There is also no verse in the Bible that states she was ever given the power by God to mediate between men and Jesus. This traditional religion has lots of teachings about Mary that contradict the Word of God. The Bible is clear. Mary is a blessed woman, a woman handpicked by God to become the earthly mother of Jesus and that was all that she was. She could never be God, neither a mediator between man and Jesus because she is already dead and can never hear us. She has long been in heaven with God and she is already doing her own praise and worship there. She did live a good life worthy of admiration for she was an obedient servant of God so that she was chosen to become the mother of Jesus. She was an example of a good Christian but she remained human and was never given the title of God. Jesus is the only redeemer. He alone is the only mediator between God and men as stated in 1 Timothy 2:5 and not Mary. I will be forever thankful to God for He gave me the opportunity to read the Bible. I can't be deceived anymore. The Word of God is the only basis by which I live my Christian life. 2 Timothy 3;16-17 says, "All scripture is given by inspiration of God, and is profitable for doctrine, for reproof, for correction, for instruction in righteousness: That the man of God may be perfect, thoroughly furnished unto all good works." I therefore have all the reasons to uphold and trust the Bible and not the doctrines of any false religion. 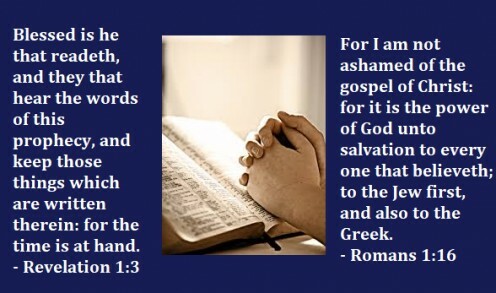 According to Paul in Romans 1:16, the gospel is the power of God unto salvation. It is the Good News the only antidote o the bad news that men being sinners will spend eternity in hell. It means God loves the world enough to give His only Son to die for our sin (John 3:16). 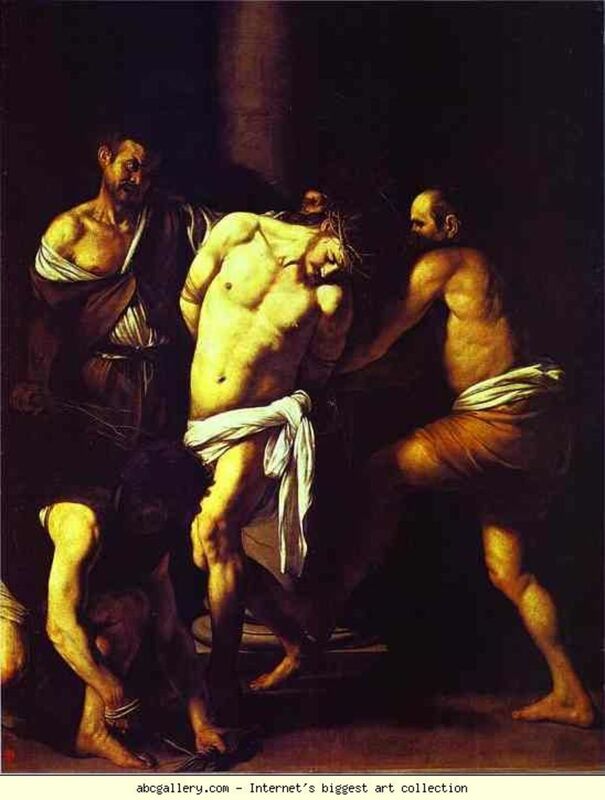 A person must understand that the death of Jesus has completed the redemption and justification of anyone who believes. Those who were once enemies of God, have been reconciled by the blood of Christ and adopted into the family of God the moment they trust the saving power of Jesus. Therefore, Therefore, the good news is as what Romans 8:1 says " there is now no condemnation to them which are in Christ Jesus” (Romans 8:1). Accept the gospel. Believe in what Jesus Christ has done for you at the cross. Your faith in the Son of God is God’s only provision for salvation. Please read and understand the following verses for you to have a more thorough understanding of how to get saved. 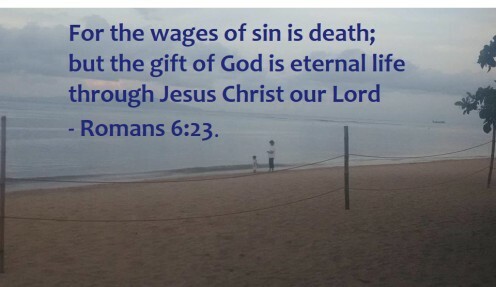 Romans 6:23: For the wages of sin is death; but the gift of God is eternal life through Jesus Christ our LordRomans 5:8: But God commendeth his love toward us, in that, while we were yet sinners Christ. Romans 10:9-13 That if thou shalt confess with thy mouth the Lord Jesus, and shalt believe in thine heart that God hath raised him from the dead, thou shalt be saved. How about you? Are you still blindly following your false religion? Are you still uncertain of eternity? Have you been assured of heaven or up to now you are still trying hard to be good because you believe it is the way to gain salvation? My friend, no amount of good works is enough to merit heaven. No one can be good or righteous enough to enter the Kingdom of God. You need Jesus? He alone is the way, the truth and the life. No one can come to the Father except through Him (John 14:6). 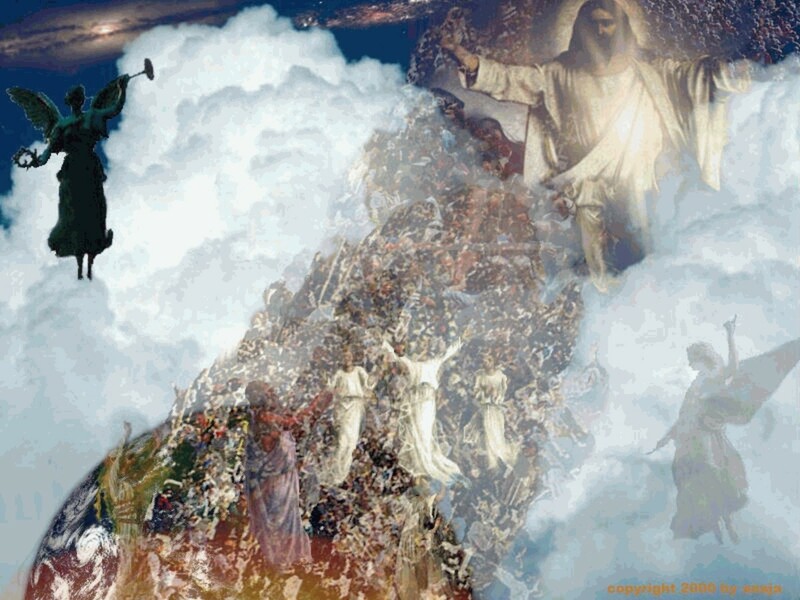 Now is the day of your salvation, tomorrow maybe too late (2 Corinthians 6:2). 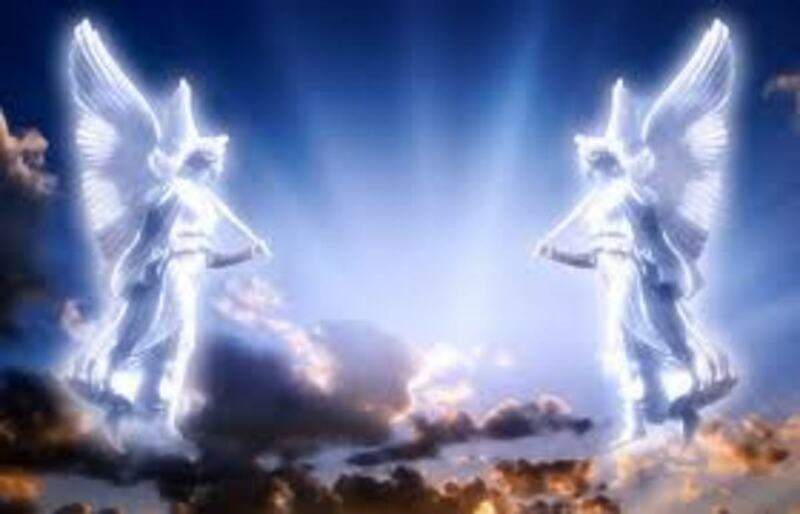 The Pre-trib "Rapture", Myth or Fact? 11 months ago from Nelson Bay NSW Australia. I very much enjoyed your testimony and mine is similar. I too once belonged to a cult - a different kind but both (and many more) are cults nevertheless. And I'm so glad that you now know and understand that there is a better way. I am no longer associated with any religious denomination simply because I see what they all have come to in some degree. Some time ago I discovered, or rather God led me to find an online ministry that is like no other and is free to all. ichthys.com is where you'll find it and I promise you, you won't be disappointed. I first found it back in 2013 and I've been reading it ever since and I'm nowhere near finished, nor is he. I would suggest to either start reading it in the Peter's Epistles as their not overly long, or in the Satanic Rebellion and believe me there is more than enough to whet your appetite for more. The reason I trust ichthys so much is because he doesn't try to conform scripture to his doctrine - he conforms his doctrine to scripture and he lets scripture do the talking. My Bible and ichthys.com is my church. Again thank you for your encouraging testimony and I hope others in those cults can escape from them. @Sarah whether you believe it or not, I did not even know about the Bible when I was a Catholic, if you don't want to believe it is not my problem anymore. If Catholics are to be honest, the fact is they are more obliged by their religion to learn the rosary and memorize prayers than to have private reading of the Bible. Reading the Bible is not enough, it has to be understood. Did the Catholic religion ever open a Bible school for the members to truly understand every word written in it? No, because even the priest do not know the Bible thoroughly. They were actually trained to memorize prayers, recite the rosary and do rituals which are all vein. Regarding the book you were recommending, sorry I don't think I need that because i am already attending a Bible School and the knowledge i am gaining day by day from the great men of God in the Bible School and in our Church are more than enough. And thank you for the help you want to extend but I definitely don't need your help. in fact, obviously it is the other way around. Yes faith is deeply personal and I really am glad I have found it because without it is impossible to get saved. Moreover, without faith it is impossible to please God for he that comes to God must believe that He is, and He rewards them that diligently seek him. Yes DeBorrah you have all the reasons to shout to the whole world about your salvation and to praise God for that free gift. Thanks, for you have testified just as well. God bless you! Greenlily, Marvelous inspiring testimony! "I thank God so much for now I could shout to the whole word without any reservation that I am saved, I am going to heaven when my God call me home! I am glad I have been freed from the uncertainty of my destination and from the many unbiblical practices of my old religion." Amen! PRAISE GOD! The TRUTH sets you FREE! "True worshippers worship Him in Spirit and in TRUTH! Thank you all folks for your wonderful comments. God bless you all! Greenlily, I am a 62 year old Christian. I too was Catholic raised,and was taught to do all of the false worshipping that you have now discovered to be wrong, and broken free from. Since my confirmation at age 13, I have questioned many of the churches teachings, and sought out answers thru my bible.When there is no conformity to what the church policy says, like eating meat on Friday, we were banned from eating meat each and every Friday, then at my confirmation, the church changed it's mind and said it only had to be on "Good Friday" I mean what's that? Even at the young age of 13, I knew deep down that it was wrong to be doing Idol worshipping. I knew that Mary had no influential power over Jesus.I knew that it was no priest, except God's High Priest Jesus, who could and would forgive my sin. I figured out all of this with Holy Spirit's help as He would guide me to various passages in my bible. But I could not wrap my young brain around all of it and make the proper choices. It wasn't until 25 years ago, when I happened to stumble across this Baptist Minister from Atlanta Georgia, Dr. Charles Stanley and In Touch Ministries, that I finally had the questions answered that needed to be answered. Suddenly it was like a huge lightbulb turned on inside my mind, and everything became so clear. Now I still attend Catholic Church, for the simple reason that I love the music and love to sing, and I sing with two different choirs, but, and maybe this makes me hypocritical in a way, I choose to not follow the churches teachings, and policies etc. Like you, as soon as I discovered the answers to the questions that had nagged me for so long, I knelt down and accepted Jesus as my saviour and re-dedicated myself and my life to serving only the Father, Son and Holy Spirit. I now know right from wrong as far as my salvation and my intimate relationship with God is concerned. I know that I am already saved. Maybe God is having me still attend a Catholic Church, for more than my love of music and singing with two church choirs for Him, as my fellow choir members know from me where I stand in my relationship with God,the church, as well as with all of them. During rehearsal breaks we chat, and if they wish to open the door, we share what I have learned to be the truth. Maybe there are members, in both choirs observing my Christian way, with the idea that I have a better way. Awesome hub! and I love the way you added the Roman's Road. Keep up the good faith! Thank you for sharing. Thanks to you too thevoice. It's God's word that speaks here. Thanks a lot for appreciating this hub. God bless!